Today, February 28, 2019 marks the ten-year anniversary of Color In My Piano! It’s hard to believe it’s been TEN years! 10 years ago today, on February 28, 2009, I wrote my first blog post: a welcome and brief statement of purpose. I found my inspiration largely from Natalie Wickham’s Music Matters Blog and Susan Paradis’s Piano Teacher Resources, whose resources I found tremendously helpful and inspiring for my piano teaching. At this point, I was running a successful piano studio of about 20 students out of my parents’ home, and finishing up my Bachelor’s degree in piano performance at Hope College. I graduated in May of 2009. On July 9, 2009, I decided that I was enjoying blogging enough to go full swing: I came up with the title “Color In My Piano,” bought my own domain name and a year’s worth of web hosting, and gave the site a new look. The name “Color In My Piano” was coined when, during my senior year at Hope College, I was required to write an essay which reflected upon my life so far and summed up my worldview. Not surprisingly, much of paper focused on my beliefs about music and the role of the piano/teaching in my life. In my life, I strive to keep my music-making and teaching from feeling like merely a job or a requirement. I strive to keep “color in my piano” for both my students and myself. As part of our 10-year blogiversary celebration, I’d like to continue our series giving you a tour through the resources currently available in my shop. Today, we will be taking a look at the music camp resources. If you are thinking about offering a music camp this summer (or ANY time of year) but aren’t sure how to get started, this post is for you! Don’t forget — everything in my shop is 20% off through the end of February 2019 if you use the promo code 10YEARS! 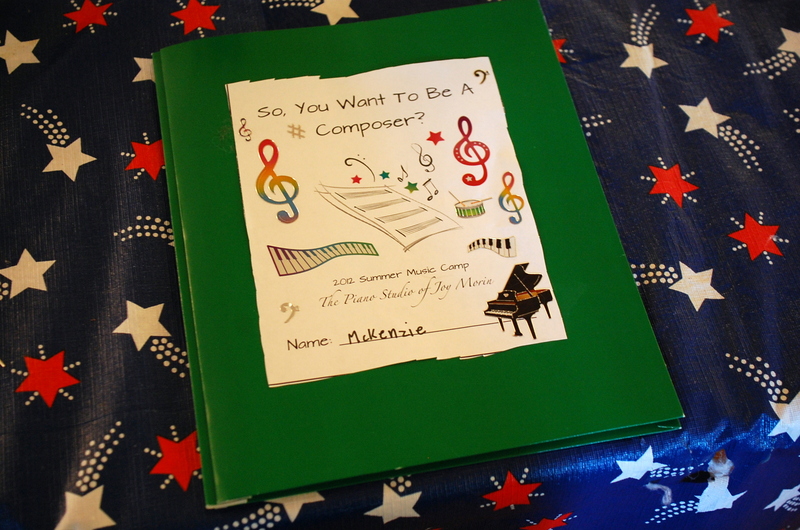 #1: Camp: So, You Want To Be A Composer? “So, You Want To Be A Composer?” is a fun, creative camp designed to inspire and equip your students to compose their own pieces of music! Students will leave camp knowing how to make a piece of music reflect its title, use motives, organize a piece using a form, and much more. This camp is full of music listening, music making, and music composing. Our 10-year blogiversary celebration sale continues this month! Don’t forget to take advantage of the promo code (10YEARS) for 20% off, if you’re planning to, before the end of February 2019! Today, I want to highlight an item from my shop you might be interested in: my “Notes To Self” printable. A couple of teachers sent me great photos and notes about how these sticky notes are impacting their students…be sure to see those at end of this post! The “Notes To Self” Inspirational Wall Art Kit (PDF) contains the digital materials you need to create interactive wall art to inspire those within your social sphere. It’s a great way to promote positivity and camaraderie! P.S. : I recently made a short video discussing the quote from last time: “A fiery, good beginner always stands higher than a master in mediocrity.” —Robert Schumann.” Click here to watch it, and please let me know if you’d like me to consider making more of this kind of video! This post is a followup to yesterday’s post, Meet Lucia, Piano Teacher in Puerto Rico! where we got a glimpse into Lucia Fernandez’s lovely piano studio space. Quick backstory: Lucia attended Irina Gorin’s workshop back in May and is familiarizing herself with Irina’s method, Tales of a Musical Journey. I took Irina’s workshop back in 2015, and have been an enthusiast ever since. Lucia and I connected via Irina’s Facebook group, and decided to get together in person while I was vacationing in Puerto Rico. Using Lucia’s daughter as a guinea pig, we explored certain aspects of Irina’s techniques together. Today, I’m sharing a few of the video clips Lucia took during our time together! Irina’s method is designed around developing a beautiful sound and a healthy technique from the beginning. That is the focus of these activities, as you will see. Ana isn’t a total beginner — she has been taking lessons with her mom for over a year. 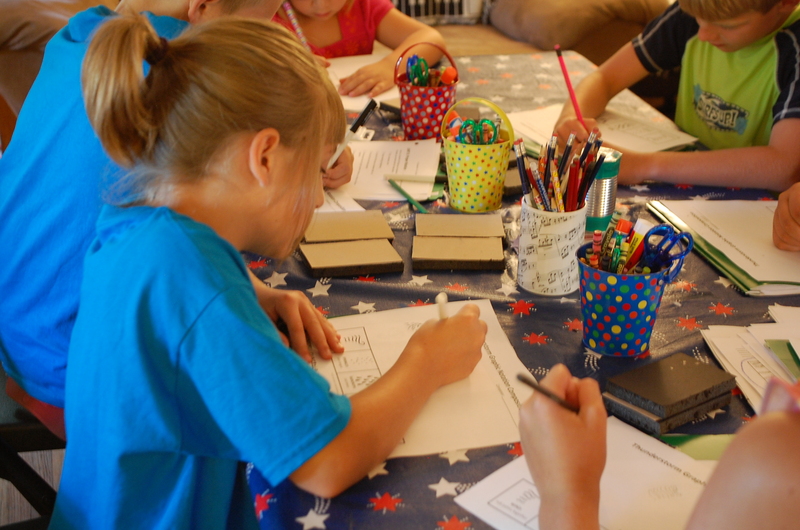 They’ve been using other books in addition to recent explorations into Irina’s book. Ana is seven years old. Although I did take Irina’s workshop and have been using her materials for a few years now, my teaching isn’t as amazing as Irina’s. :) I encourage you to learn from the master! Check out Irina’s extensive YouTube channel here. Meet Lucia, Piano Teacher in Puerto Rico! A couple of weeks ago, my husband and I were in Puerto Rico. I highly recommend it as a fun place to vacation! The culture is different enough from the mainland U.S. that it feels a bit exotic, and yet, it’s familiar enough to the point where you can get around easily. Many of the locals speak English in addition to Spanish. There’s so much history to experience, great food, beaches, gorgeous weather, and fun excursions such as snorkeling and the rainforest. You can’t go wrong! Before our trip, I connected with Puerto Rican piano teacher Lucia Fernandez, thanks to Irina Gorin’s Tales of a Musical Journey method Facebook group (check out my review of Irina’s method book here). Lucia and her husband arranged a lovely dinner meetup for us and the couple we were vacationing with. For more videos, check out the playlist here. Our 10-year blogiversary celebration sale continues this month! Don’t forget to take advantage of the promo code, if you’re planning to, before the end of February! Today, I want to highlight an item from my shop you might be interested in: the Ice Cream Interval game. There’s also a freebie for your young beginners below…so keep reading! Being able to recognize the placement of and distances between notes on the staff intervallically is crucial to reading music. I like to tell my students that music reading involves more interval recognition than it does note identification. To help my students learn to identify intervals quickly upon sight, I created the Ice Cream Interval game. The cards show intervals both on the staff lines and on the piano keys, so students are encountering situations. This simple game works great as a single person activity. We lay out the cones on the floor, and start sorting the interval “scoops” to the appropriate cone. Just thought I’d share a couple of Valentine’s Day related resources from my blog! 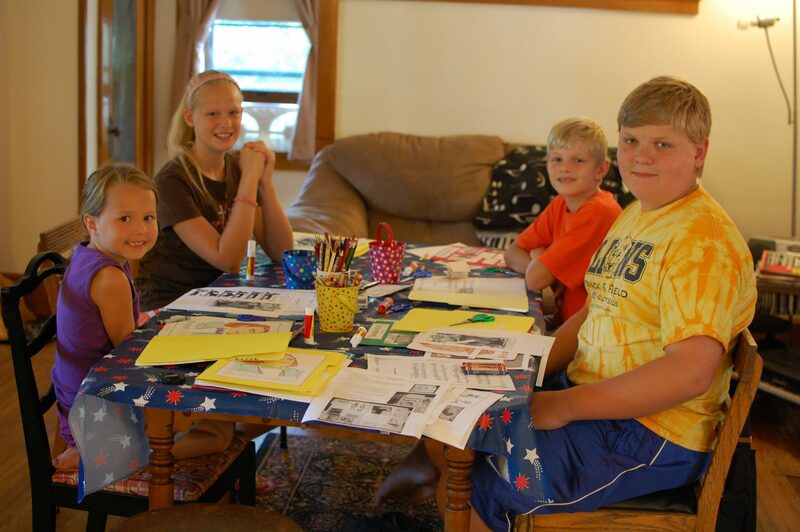 This activity is a staple for my monthly “Piano Parties” with my students. It’s such a good activity for working on rhythm and ear training. Here is how the activity works: Each student is given a heartbeat chart and some game tokens (I use glass baubles from the floral aisle). The teacher claps or chants a prepared rhythm and asks the students to repeat it back together. Once they have internalized the rhythm, students notate the rhythm on their heartbeat charts using game tokens.